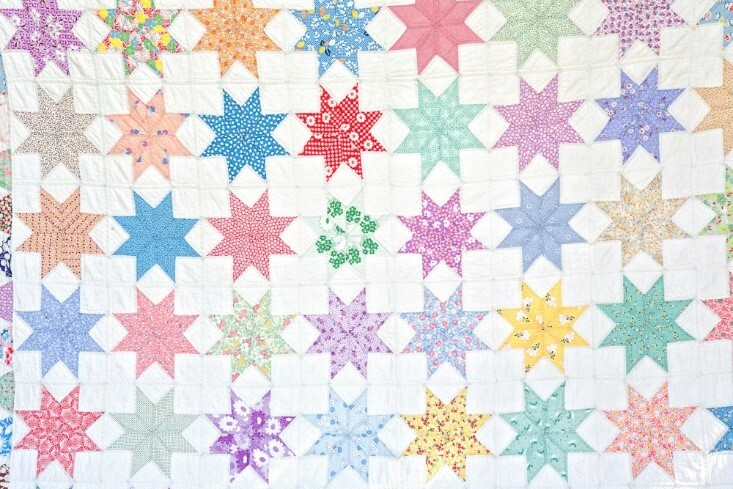 Beautiful, expertly hand quilted 1930s Touching Stars quilt. 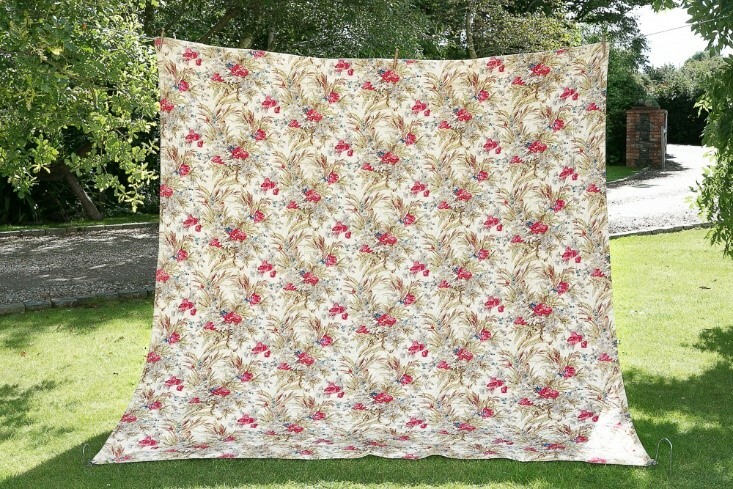 Makes use of a variety of vintage prints and an array of bright and pastel colours. 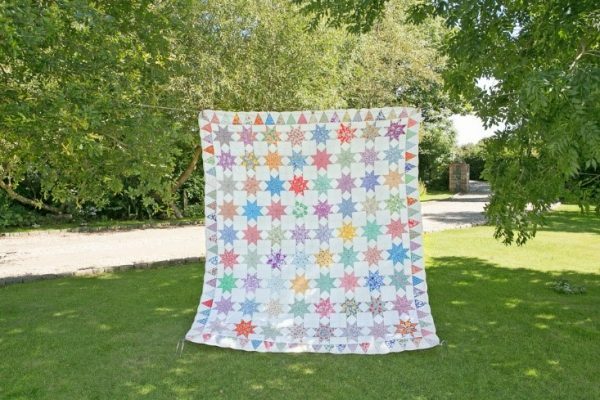 Each star is made from different material, harmonising beautifully through the clever use of colour and pattern. 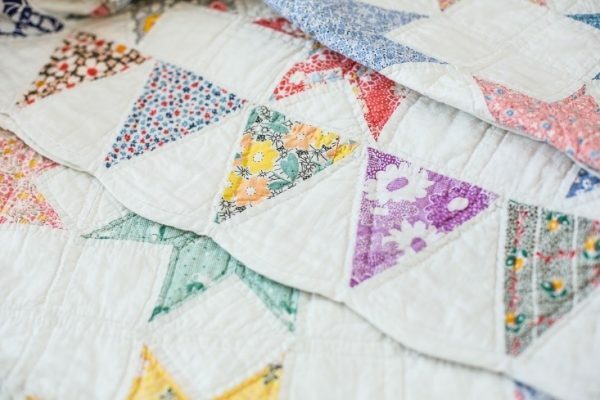 Particularly beautiful border comprised of touching triangles, again in different fabrics, creating a bunting-like effect. Handbound with continuous curve. Excellent condition with the colours remaining bright, crisp and clean. 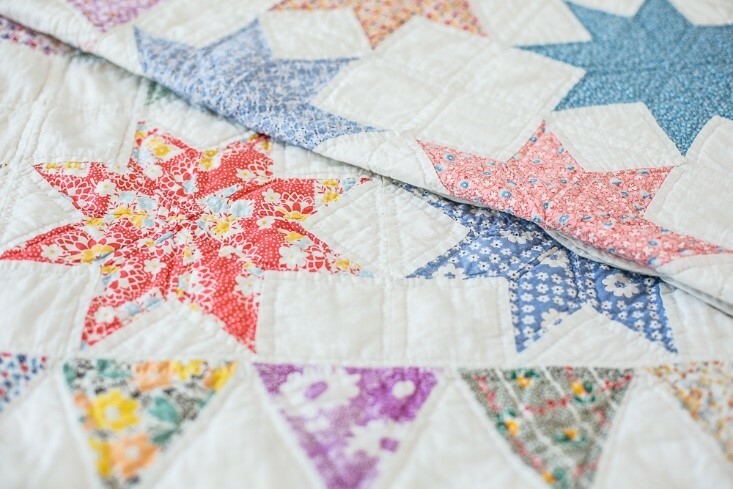 Quilted approximately 9 stiches per inch. 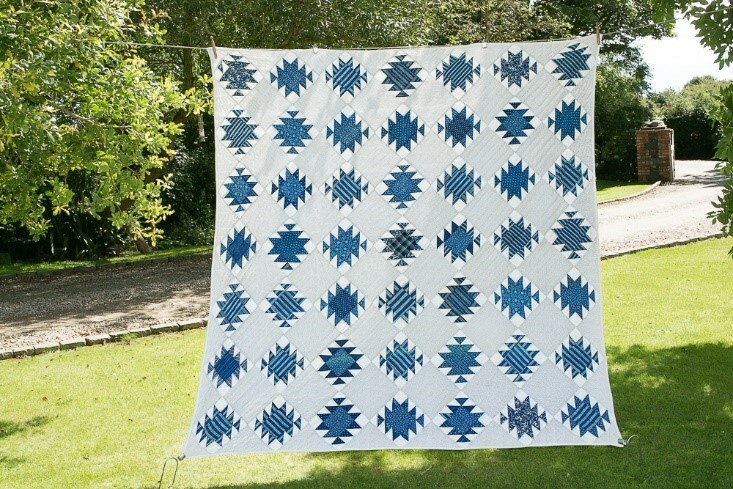 A truly magnificent quilt, one of the finest examples available. Approx. 77 x 85 inches/ 195 x 215 cm.